The center of attention of the research in bioinformatics has been towards understanding the biological mechanisms and protein functions. Recently high throughput experimental methods have provided many protein-protein interaction networks which need to be analyzed to provide an insight into the functional role of proteins in living organism. One of the important problems of post-genomic era is to predict the functions of unannotated proteins. In this paper we propose a novel approach for protein function prediction by utilizing the fact that most of the proteins which are connected in protein-protein interaction network, tend to have similar functions. The method randomly associates unannotated protein with functions from the possible set of functions. 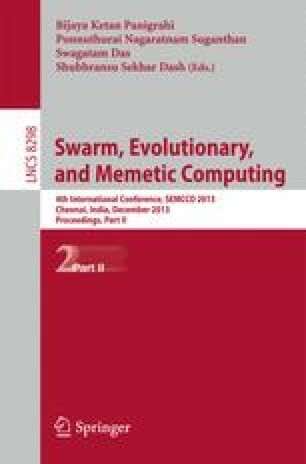 Our approach, Artificial Bee Colony with Temporal Difference Q-Learning (ABC-TDQL), then optimizes the score function which incorporates the extent of similarity between the set of functions of unannotated protein and annotated protein, to associate a function to an unannotated protein. The approach was utilized to predict protein function of Saccharomyces Cerevisiae and the experimental results reveal that our proposed method outperforms other algorithms in terms of precession, recall and F-value.